At Sunspace Texas, we offer a variety of different types of sunrooms for different homeowner’s needs. If you’re looking for a screen room or a way to enjoy the outdoor views even in the midst of adverse weather, we have sunrooms to accommodate that. If you want to extend the time to enjoy your outdoor space, you can have a 3-season sunroom installed. 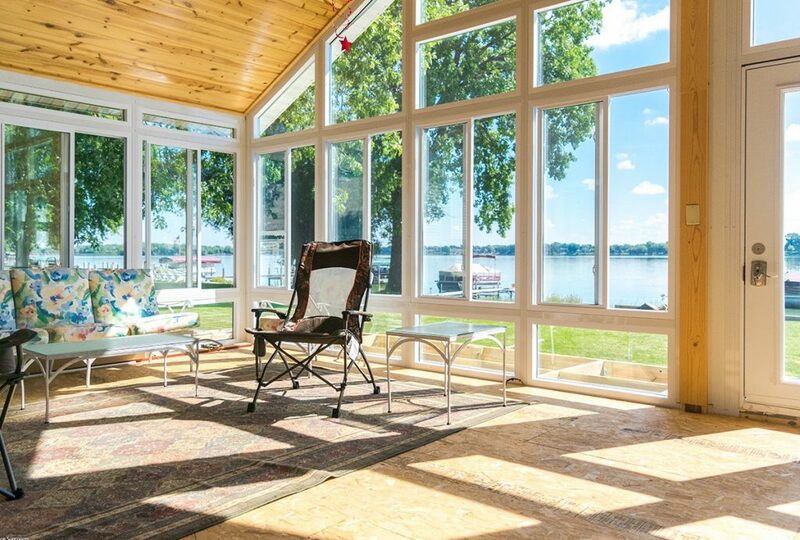 But if you want a sunroom that you can enjoy all year round, the answer is the Model 400 insulated sunroom. This insulated sunroom is specifically designed to stay comfortable during both the hottest days of summer and the coldest days of winter. Here you can enjoy your added entertainment space or simply take in the outdoor views. An all-season sunroom offers a number of benefits. Here are a few that our customers enjoy. Homeowners are loving indoor/outdoor spaces lately. It’s a perfect combination: the look and feel of the outdoors, with the conveniences of an indoor space. You can find this in both an enclosed porch or a sunroom, but all-season sunrooms are perfect for achieving an indoor/outdoor quality. Even in the midst of a lightning storm, you can sit cozily in your sunroom, taking in the chaos outside. On a chipper February morning, you can watch the world wake up while you sip your coffee in comfort. You get all the views you love without the adverse weather…or the pests. Sometimes you just need more room to move around. Maybe you need an extra entertainment space, or maybe your family is starting to outgrow the parameters of your home. Even if you just need an added space for yourself, a sunroom can be a beautiful solution to this problem. But your need for more space doesn’t go away when the weather gets colder; your added space shouldn’t, either. With an insulated, all-season sunroom, you can continue to use the space throughout the year, whatever the cause might be. Imagine hosting Christmas parties in your sunroom, or simply enjoying the rare instance of snow. All-season sunrooms are clearly an attractive feature for your College Station home. You can enjoy them for yourself while you live there, and your friends can enjoy them when you have them over. So if you plan to move in the next couple of years, it’s no surprise that prospective homebuyers will find an all-season sunroom an attractive quality for their future home. Room additions can often add value to your home, but when you add a space that offers sweeping views and can be used all year long, you’re sure to get a satisfying boost in your home value and a competitive edge in the housing market. The more use you can get out of a room addition, the more benefits that room addition offers your home. It’s for that reason that our sunrooms are so popular among residents of Bryan-College Station. Want more information? Contact Sunspace Texas today for more information or a free quote.